For more than 20 years, The Gold Standard MCAT has helped tens of thousands of students improve their chances of medical school admissions. In 2009, we repackaged our MCAT science review DVDs and added TopScore Pro exams to provide students with the option of a mini-DAT home study package. DAT students found the videos helpful so we began a project to create comprehensive, attractive and affordable DAT review books. We assembled a team including dentists, dental students at top dental schools, doctors and other professionals. Four years later . . . The Gold Standard DAT Complete 4-book Review was the winner of the 2013 USA Best Book Award in the Education/Academic Teaching category. At a time when our MCAT textbook had only 600 pages of science review, we published a DAT 4-book boxed set with over 1400 pages of content with diagrams, illustrations and thousands of practice questions with helpful solutions. Our DAT PAT explanations include images and video where relevant. We even created free DAT prep resources including DAT prep YouTube videos. At every step, the Gold Standard DAT, through DAT-prep.com, has sought to use multimedia to simplify, innovate and provide extensive practice. We strongly believe in problem-based learning (PBL) and we have constructed our books, videos, online materials and apps with PBL as the foundation. Originally, we promised 2000 practice questions with our books then we decided to deliver 3000 DAT practice questions at no extra charge. We opened dozens of hours of online science review videos from our MCAT library for DAT students at DAT-prep.com. In particular, students have found our Organic Chemistry videos to be more helpful that the courses they attended at university. 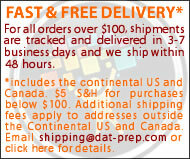 We have even added (and continue to add) some videos on DAT-prep.com that are exclusive DAT content. We are going to continue to develop helpful multimedia DAT products keeping your needs in mind. If you are serious about DAT prep, then you’ll find that the Gold Standard is serious DAT prep. In addition to the Dental Admission Test guides and software that we recommend to you, please consider visiting the official website for the Dental Admissions Test: click on DAT in the US or click here: DAT for students in Canada. Note: only the Canadian DAT includes manual dexterity/soap carving which is only covered in programs that specifically say so like the Canadian Edition of TopScore Pro. Copyright © DAT Prep by Gold Standard - RuveneCo, The Only Prep You Need, The Gold Standard and The DAT Prep Bookstore may be either trademarks/service marks or registered trademarks/service marks of RuveneCo Inc. DAT or Dental Admission Test is administered by the ADA or American Dental Association which is not associated with our products. See ADA.org. All Rights Reserved.